The County and City of Worcester combined to provide its own asylum in accordance with the County Asylum Act of 1845 which obligated such authorities to construct and manage their own accommodation for pauper lunatics in England and Wales. 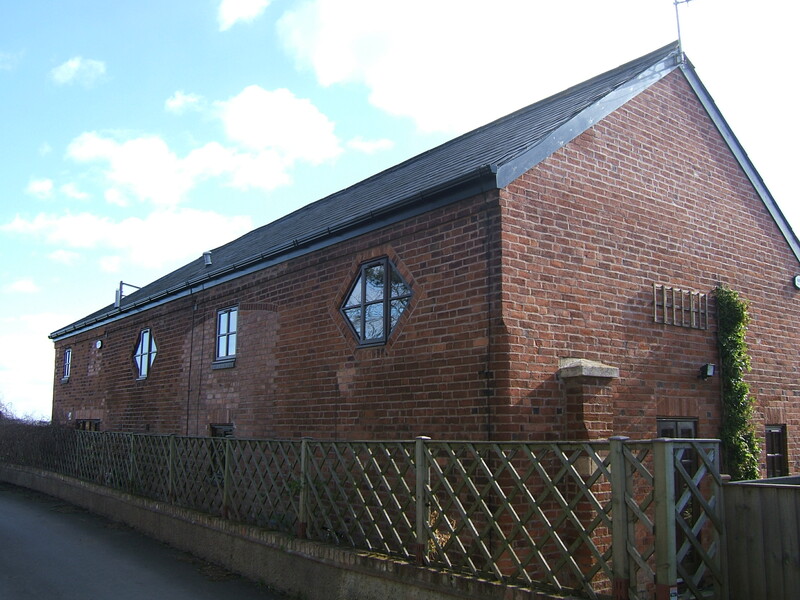 A site was selected close to the village of Powick, to the south west of Worcester and the firm of Hamilton and Medland of Gloucester were selected as architects. . The location chosen at White Chimneys Farm stood to the south west of the village and accessed from the main Worcester to Malvern Road and sloped to the south, overlooking farmland. The asylum was constructed on to the top of the slope enabling the principal frontage to enjoy the aspect beyond, but also resulting in variation in ground levels which affected future development on the site to the north. the building was founded in 1847 and opened for for reception of inmates in 1852. 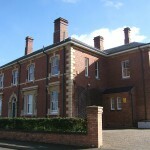 As with Hamilton and Medland’s other asylum design at Bracebridge Heath for the County of Lincolnshire, Powick was designed as a typical corridor plan layout of its time with a three storey Superintendent’s residence to the centre flanked by male and female wings on either side with workshops and laundry behind the residences of their respective workforces. Administrative, kitchen and stores facilities occupied the central block behind the superintendents residence with airing courts for the exercise of the inmates laid out to the south of the main frontage. 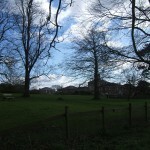 The farm and gas works stood west and south west of the asylum respectively and a lodge guarded the main entrance from the access lane to the north. The asylum was constructed in red brick with stone ornamentation limited to window surrounds and quoins on the principal buildings only. Roofing was of grey slate and of a shallow pitch. with a tall central chimney stack located on the centre block and ventilation towers positioned on the male and female wings. A detached chapel was added to the south of the male wing. Subsequent additions included further female wards to the north in 1860-1 and further extensions to both side during 1870. The site was further expanded through the construction of an additional pavilion block for chronic and epileptic patients comprising a central administrative section including dining hall, with one male ward to the east and two female ward pavilions to the west each provided with sanitary annexes. These wards comprised of large dormitories where numerous inmates could be accommodated. 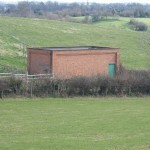 This enabled space to be made available cheaply for acute cases within original building. Further extensions to the annexe’s male and female wards were added in 1890 and 1896 and a new larger chapel was constructed on the land between the two asylum blocks. An area of ground for pauper burials was also set aside adjacent to the farm. 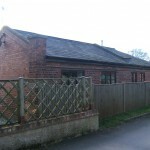 Cottages for married attendants were provided alongside the lane approaching the village and a new residence for the Superintendent and his family constructed on the drive opposite the gate lodge. The farm was also upgraded to support the asylum economy. The composer, Edward Elgar lived close to the asylum and joined the attendant’s band in 1877, becoming band leader in 1879, a paid position for which he was responsible for providing orchestral concerts for the inmates and which he held until 1884. His association with the institution is commemorated in the Powick Asylum Music, written during his tenure as band leader. 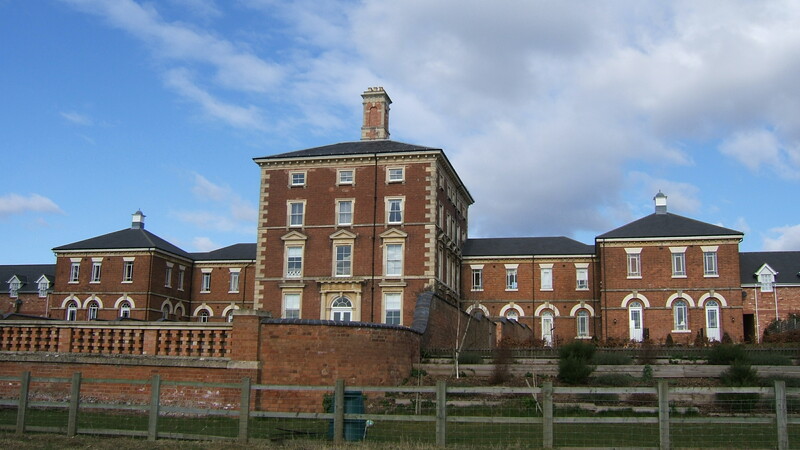 Worcestershire planned and built its second asylum at Barnsley Hall to serve the urbanised east of the county bordering Birmingham during the early years of the twentieth century which relieved pressure on the Powick Asylum and reduced the need for subsequent expansion projects. 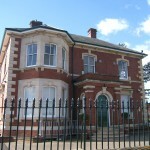 The new asylum was located near Bromsgrove and was built to the designs of prolific architect George Hine of Nottingham. The Great War brought a return of overcrowding to the asylum as patients were relocated there from the Rubery Hill and Hollymoor asylums near Birmingham which were requisitioned by the military for the Birmingham War Hospital, a situation which was compounded by the loss of male attendants who were enlisted to fight. 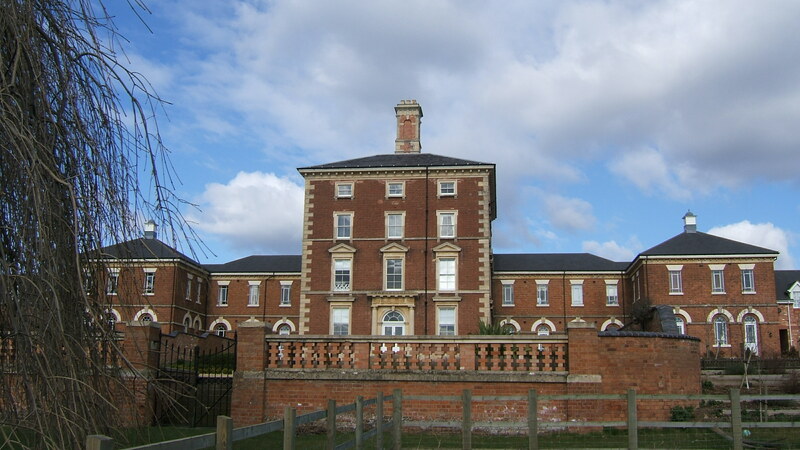 Peacetime brought a return of the patients to Birmingham and the institution was renamed as the Powick Mental Hospital, still under the control of the County and City Authorities. 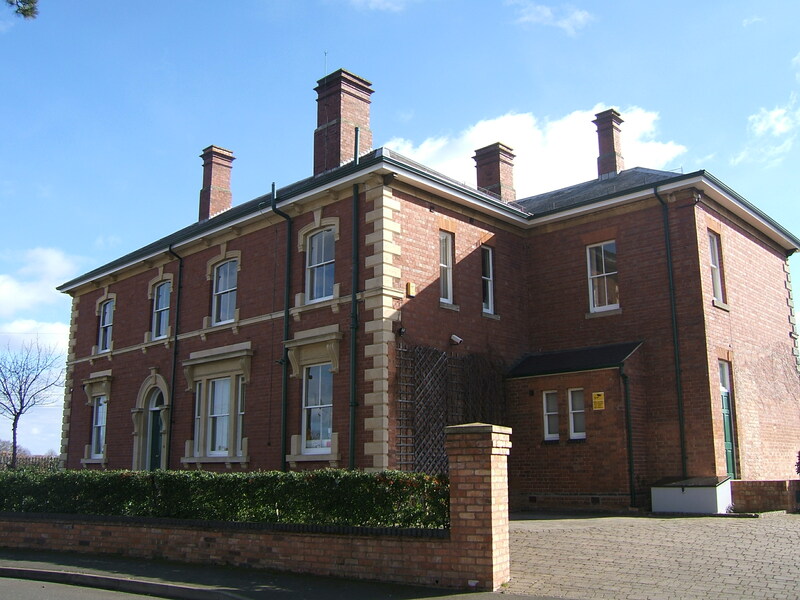 Further staff accommodation was provided along hospital lane in order to attract staff to work at the site. 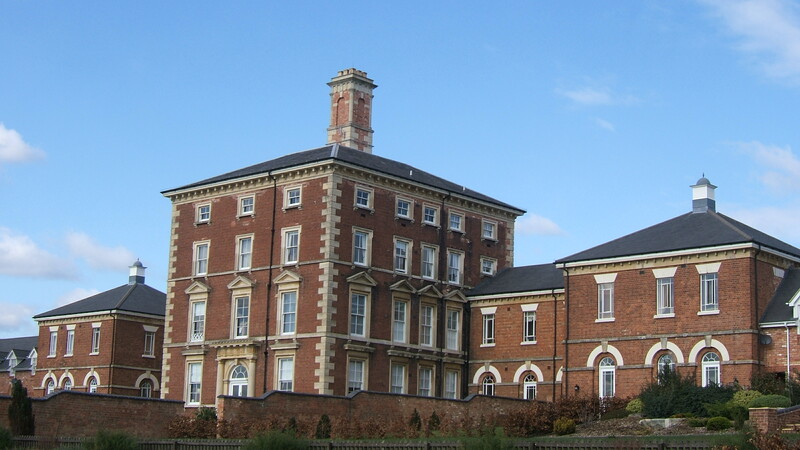 The Second World War saw both Worcestershire Mental Hospitals integrated into the Emergency Medical Services, although most active development took place at the more conveniently sited Barnsley Hall hospital where an extensive hutted hospital was constructed in the grounds. The creation of the National Health Service in 1948 incorporated all former county asylums in operation in England and Wales including Powick and the term mental was dropped subsequently from the name. 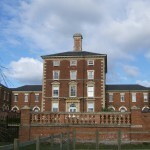 Special mental handicap hospitals which had long been poorly provided in Worcestershire were created under the NHS with the hutted hospital at Barnsley Hall converted as an institution for subnormal children during the 1950’s and the extensive purpose built Lea Castle hospital, Kidderminster developed along pre-war colony lines serving the area. From 1960 a regional rehabilitation unit serving the West Midlands area was developed at Great Malvern and linked closely to Powick. The site had been originally developed during WWII as a United States Military hospital and subsequently been taken under the NHS as a tuberculosis sanatorium. 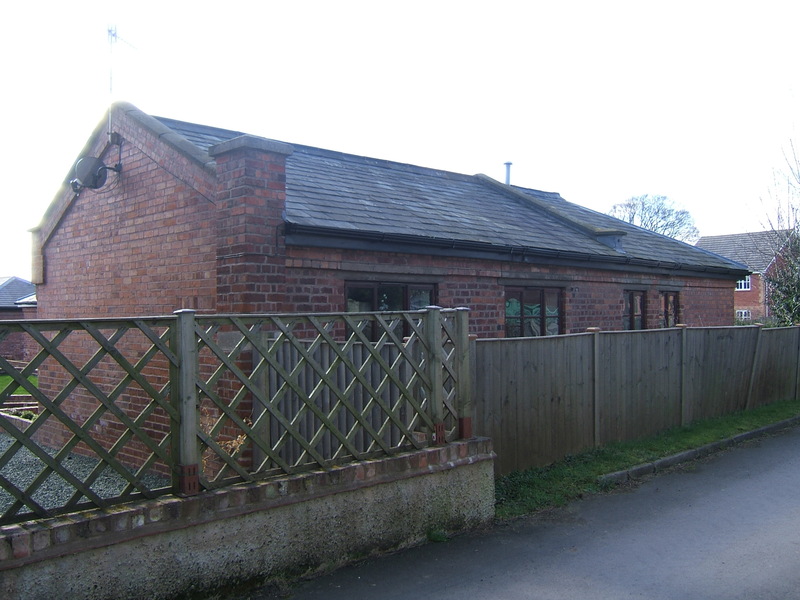 The hutted single storey blocks were to provide facilities where long stay patients could be sent in order to prepare them for discharge into the community. 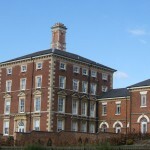 Both hospitals were combined under the management of the Worcester and Kidderminster hospital management committee, and administrative links to Barnsley Hall ceased. Powick hospital experimentally trialled the usage of the the drug Lysergic acid diethylamide (LSD or ‘Delysid’) for patients with schizophrenia and depression between 1952 and 1966 until recreation use of the drug forced its medicinal withdrawal. Under the Superintendence of Dr. Arthur Spencer, the hospital, particularly Ward F13 in the annexe featured in the investigative journalism series ‘World in Action’ highlighting the plight of elderly, frail patients lives in the back wards of mental hospitals, the minimal nursing care available and scant, dated and impersonal ward environment which persisted in many similar institutions. The program was to spearhead plans to close the hospital which were proposed shortly after the program aired in 1968. 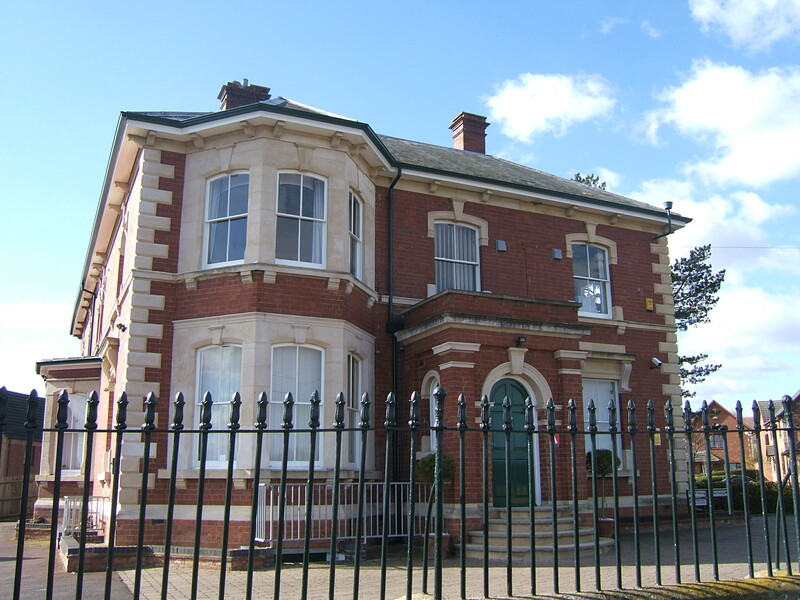 The Worcester Development Project was set up to instigate and oversee the closure of Powick and St. Wulstans, the first large scale mental hospital closures of their kind under the NHS and as such were closely examined and followed by the local, national and medical press. The project included the establishment of mental health units based at district general hospitals serving the catchment area of the hospital management committee and subsequent area and district heath authorities in conjunction with discharge of medium and long stay patients into community based care settings. 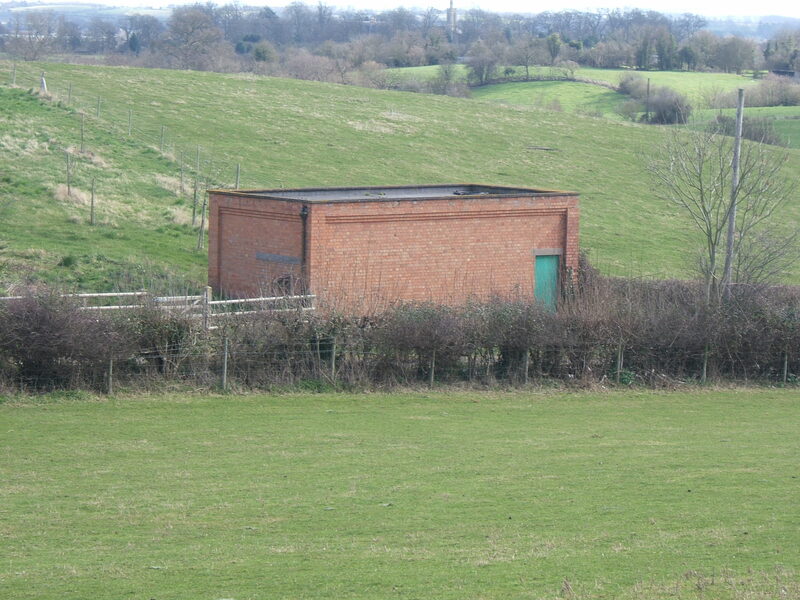 The project led to the suspension of further admissions to Powick from 1978. Despite being the first ‘water tower hospitals’ to be planned for closure, the lengthy process of closure utilised in the Worcester Development Project meant that St Wulstans finally closed in 1986 and Powick in 1988, eighteen and twenty years respectively after its commencement, by which time other larger hospitals in England including Banstead and Exe Vale (Digby and Exminster) had already been closed. Following closure the majority of the asylum complex was left derelict and eventually demolished with the exception of the Main facade and sections of the side wings as well as the detached superintendent’s residence which have been converted to residential use and business use respectively. The remainder of the side including the annexe, chapels and lodge were cleared and the site developed for housing. 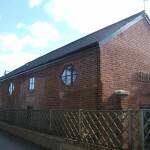 The home farm has also been converted to housing. 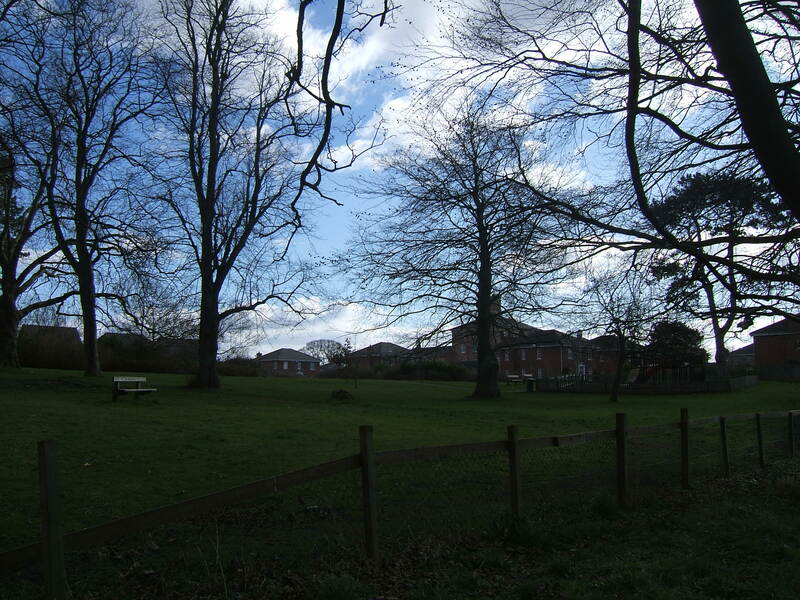 The hutted wards of St. Wulstan’s hospital were also demolished and partly replaced by housing with the remainder being protected as a community nature reserve.